We stock these infrared remote control models at Celadon. They can be purchased in low volume, from one unit to hundreds. 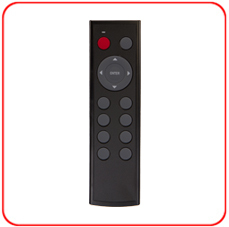 These remotes come pre-loaded with infrared codes using a variety of infrared formats. 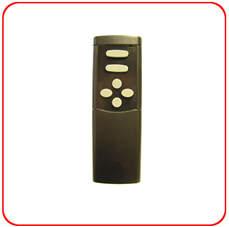 These remotes are are black with grey keys (models SH-15A and SC-33B have one red key). 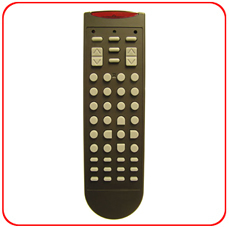 The low volume remotes can be customized and branded using overlay labels, and in some cases, silk screening. Key count can be reduced by removing (cutting) keys. 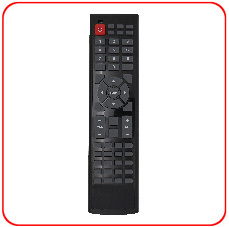 Overlay labels cover the holes allowing you to configure the remote key layout in a variety of ways. 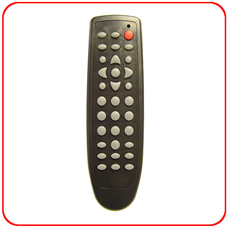 Please select the remote below to review some possible artwork and key layout options for these remotes. 6.3 x 1.7 x 0.8 in. 6.5 x 1.95 x 0.83 in. User Selectable HEX Value System Code for Unique Infrared Codes. 7.4 x 1.8 x 0.6 in. Infrared Code Format: PROGRAMMABLE - Custom firmware can be created by mapping infrared codes from a single or multiple original remote controls. 7.5 x 2.2 x 1.08 in. 4.76 x 1.65 x 0.6 in. Infrared Code Format (Programmable): Celadon Custom Protocol or NEC. Either protocol selectable along with Device ID.